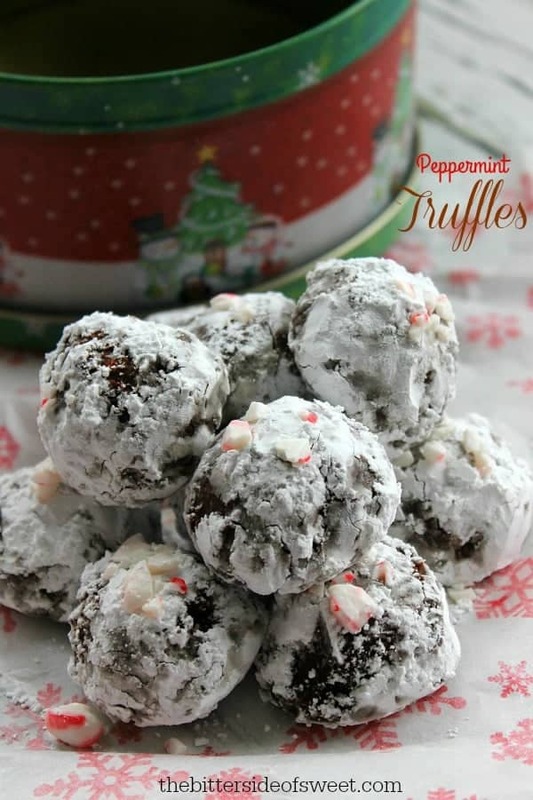 Start your holidays off with these Peppermint Truffles! Hello, it’s me again, sitting in a coffee shop working on this post staring at these peppermint treats! I love making candy recipes, like this chocolate peanut butter fudge! That is always a hit this time of year. If candy making is not your thing how about these chocolate chocolate pudding cookies! 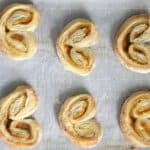 They are soft and so delicious! In medium bowl add cream and chocolate chips. Microwave for one minute. Stir until chocolate is smooth. Using a melon baller or a small cookie scooper, scoop chocolate into a ball. 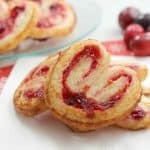 Place in powdered sugar and roll around till covered. Place on cookie sheet lined with parchment paper. 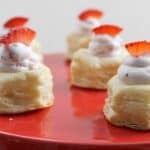 Top with crushed candy cane and refrigerate until ready to serve! These look like the perfect holiday treat – pretty and tasty. I plan on trying these this week to give to friends and neighbors. Thanks for sharing. What a lovely cookie gift! Thanks for sharing on the What’s for Dinner link up! I couldn’t stop eating those either, do you deliver? LOL Thanks for sharing this with us at the DI & DI Link party. Hope you had fun, and have a great weekend! 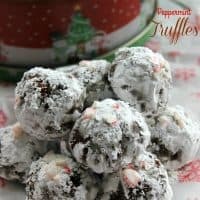 Your Peppermint Truffles look like a very special holiday treat! I really appreciate you sharing with Full Plate Thursday and have a great week. Come and visit our #OMHGWW you are being featured and share links to party with us. Have a great day-Merry Christmas! 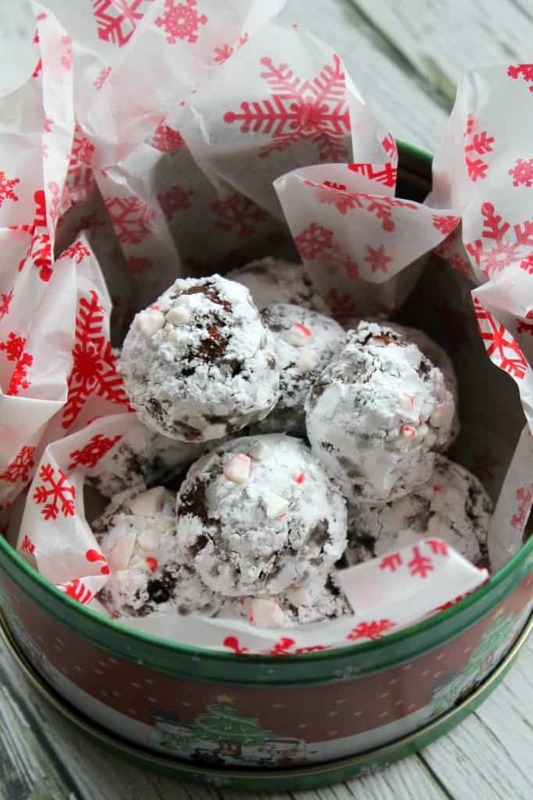 These minty truffles sound perfect for holiday treats. Thanks for sharing your post at the #HomeMattersParty and We hope you’ll link up again with us on Friday! I’m seriously drooling over this recipe right now! 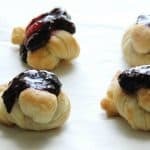 Thank you for linking up to last weeks Creative K Kids’ Tasty Tuesday! Yummy! Can’t wait to get candy making. Thanks for sharing at the Inspiration Spotlight party! Shared.